Electric car company ZAP (OTCBB: ZAAP) will be in Hollywood to announce a new Glendale dealership and attend several social and charitable events as part of Oscar Week festivities. ZAP CEO Steve Schneider will be attending a number of events in support of green initiatives starting today. This evening Global Green USA will host its 3rd annual pre-Oscar party, highlighting global warming solutions with Co-Hosts Penelope Cruz, Leonardo DiCaprio, Salma Hayek and special guests Sebastian Copeland, Matt Petersen, Heidi Cullen, Steve Schneider, Maroon 5 and many more to benefit Global Green's global warming initiatives. The party kicks off Global Green's Red Carpet/Green Cars Oscar campaign, where celebrities arrive at the Academy Awards in fuel-efficient vehicles instead of gas-guzzling limousines. Learn more at http://www.globalgreen.org. Environmental Motors, one of ZAP's newest dealers in Glendale, California, will be rolling through the streets of Hollywood with the new XEBRA electric car and truck. Environmental Motors has been selected to provide environmentally friendly transportation for The Ultimate Green Room, February 22-24 at the RC Green Eco-Lounge at 300 S. La Brea Ave. in Los Angeles. For more information about the RC Green Eco-Lounge, contact Landers Public Relations at 323-871-9709 or Environmental Motors at 818-549-0000. A list of ZAP dealers is available at http://www.zapworld.com. In November, ZAP launched a campaign to showcase two of the best solutions for fighting global warming: A) replace a gas car with an electric car; and B) plant trees. As part of the campaign, ZAP has pledged to plant a million trees and invites individuals, corporations and other groups to join in its efforts. Learn more at http://www.zaptrees.org. At the end of January, UBS Wealth Management Research issued the research report, "UBS Research Focus – Climate Change: Beyond Whether," which looks at research on climate change to offer a detailed, sector-by-sector breakdown identifying key investment opportunities and risks for the individual investor. According to the January 31 release- “Whether or not you agree with the view that human activity is influencing the climate system is largely irrelevant to the investment thesis. What is important is that numerous policies to combat the threat of global warming are converging to influence people’s behavior, alter the risk profile of various businesses, and improve the investment outlook for others,” said Klaus Wellershoff, global head of UBS Wealth Management Research, and Kurt Reiman, head of thematic research for UBS Wealth Management Research. Investment in renewable bonds issued by governments and project development companies to finance specific clean energy projects. 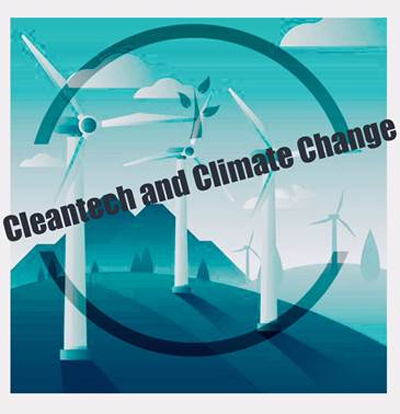 CO2 TECH LTD (CTTD.PK) looks like it was more a short term stock play on the media attention of the global warming based on the anticipated international report that was due February 2nd. One of the dangers of trading a pink sheet stock is its difficult to get any info if they are non- reporting. There are exceptions and there are some reporting pink sheet stocks you can trade. This was a relatively new player in the green space and I was personally getting 2-3 emails a day on it unsolicited, reflecting a stock play more than a long term deal. Investors need to do their homework and remember even with complete due diligence their is still risk. www.InvestorIdeas.com, and its global investor and industry Greentech portals, announce the addition of a new monthly ‘green’ financial column, “The New Power Fund”, focusing on renewable energy, by Samuel F. Jones: President, All Season Financial Advisors, Inc. The new content builds upon the highly visited portal articles, audio interviews, stock news, stock directories, online investor conferences, Blogs, RSS feeds, investor tools and links. Additionally, Samuel F. Jones will be one of the featured speakers at the upcoming conference:” Investing in the Environment: Global Warming, Global Warning – Investing Today for Tomorrow’s Future", in an online format to reduce the Carbon Footprint and the Carbon Dioxide created by travel. The growing list of industry experts and public companies includes recent additions : Thomas Kuh, KLD Research & Analytics, Inc. http://www.kld.com/indexes, Walter V. Nasdeo, Director of Research/Head of Energy Technology Ardour Capital Investments http://www.ardourglobalindexes.com/indexes_agi.php, David H. Kurzman, Managing Partner of Kurzman CleanTech, L.P. http://www.kurzmancleantech.com/ and Akeena Solar, Inc. (OTCBB: AKNS). Previously announced green publicly traded presenters include: ZAP (OTCBB: ZAAP), Rotoblock Corporation (OTCBB: ROTB), WaterBank of America (USA) Inc. and International Barrier Technology Inc. (OTCBB: IBTGF). Previously announced Greentech Industry Speakers: Jamie Wimberly CEO of the Distributed Energy Financial Group (DEFG) LLC, http://www.defgllc.com/, Robert Wilder, J.D., Ph.D. CEO & Founder of Wildershares, LLC; http://www.wildershares.com/, William Brennan, President & Managing Partner of AquaTerra Asset Management LLC, and Senior Portfolio Manager of the Praetor Global Water Fund, Peter C. Fusaro, Chairman & Founder of Global Change Associates in New York, http://www.global-change.com/, Samuel F. Jones, President of All Season Financial Advisors, Estelle Lloyd, CEO of Venture Business Research, http://www.vbresearch.com/ , J. Peter Lynch, an expert in the solar area. http://www.renewableenergystocks.com/®, http://www.fuelcellcarnews.com/®, http://www.environmentstocks.com/ http://www.water-stocks.com/ and http://www.greentechinvestor.com/ are global investor and industry research portals that look at the renewable energy , water and greentech sectors. The portals do not make stock recommendations, but feature industry and stock news, exclusive articles and financial columnists, audio interviews, investor conferences, Blogs, and a directory of stocks in the sector. "Investing in the Environment: Global Warming, Global Warning – Investing Today for Tomorrow’s Future"
EnvironmentStocks.com Reminder: Upcoming Conference "Investing in the Environment: Global Warming, Global Warning – Investing Today for Tomorrow’s Future"
www.EnvironmentStocks.com (ES), an investor and industry news portal for the environmental and cleantech sector within the InvestorIdeas.com umbrella, presents the timely exclusive 'Insiders Corner', by Michael Brush on how investors can participate in a changing climate, both in the stock market and in the global environment. Ever since Al Gore’s movie “An Inconvenient Truth” hit the circuit last year – and spooky-warm weather seemed to confirm his thesis – many investors have been on the hunt for climate change stocks. What’s more, reports of bizarre weather persist – most recently in Europe which was struck by unusually severe wind storms in January. Since bizarre weather patterns are a symptom of global warming, according to Gore, I’ll nominate Home Solutions of America (HSOA) as my Insiders Corner climate change stock. EnvironmentStocks.com is a global investor and industry research portal for the environmental and socially responsible investing sector, within the InvestorIdeas.com Greentech umbrella. The website does not make stock recommendations, but features industry and stock news, exclusive articles and financial columnists, audio interviews, investor conferences, Blogs, and a directory of stocks in the sector. The portal is compensated by sponsors; see disclaimer. Additionally, the portals offer a service for content contribution in the form of sector targeted news and press release submission at: http://investorideas.com/NewsUploader/ as well as research and article submission at: http://investorideas.com/NewsUploader/Submit_Article/ .